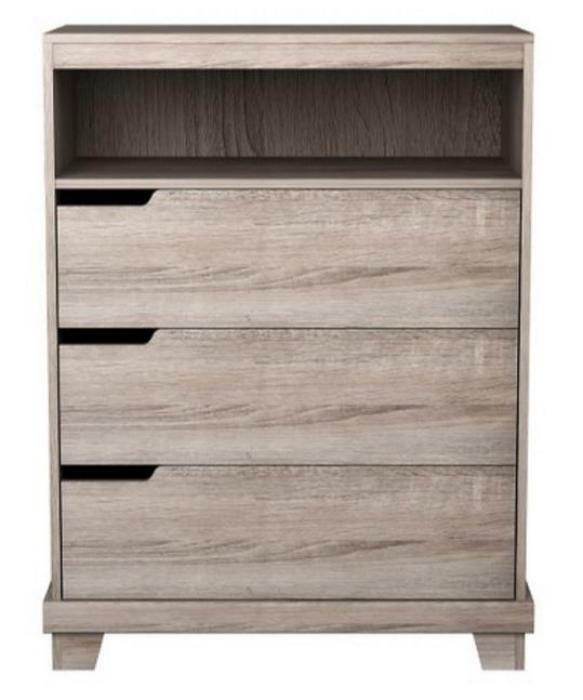 Homestar North America of Statesville, N.C., is recalling about 1,470 Stockholm three-drawer TV chests. The chests are unstable if not anchored to the wall, posing serious tip-over and entrapment hazards that can result in death or injuries to children. They do not comply with the performance requirements of the U.S. voluntary industry standard (ASTM F2057-14). This recall involves Stockholm three-drawer TV chests sold in Java Brown, Sonoma, Sonoma/Java Brown and Java Brown/Sonoma. The chests have a top shelf and three drawers, and measure 40 1/8 inches high by 30 ½ inches wide by 15 3/8 inches deep. Model number 249-09-2740, 249-09-0041, 249-09-2739, or 249-09-3429 is located on the back panel of the units. The chests, manufactured in the U.S., were sold exclusively at Target.com from May 2015, through August 2016, for about $160. Contact Homestar for a choice between two remedy options: a full refund including return shipping charges or a free tip-over restraint kit with virtual how-to instructions. Consumers who purchased the recalled chests are being contacted directly. Consumers may contact Homestar toll-free at 855-837-2569 from 8 a.m. to 7 p.m. (ET) Monday through Friday or by visiting visit the firm’s website at www.homestarna.com and clicking on the Recall Alert link for more information.